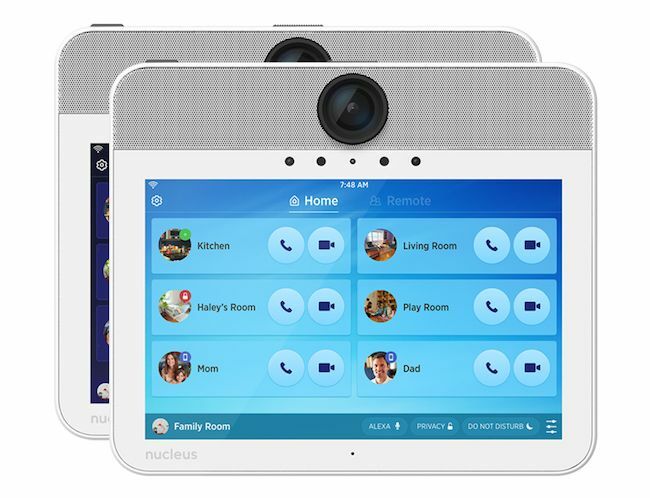 Nucleus: A home intercom that works even when you're not home. We just instituted a new family rule at my house: No yelling for mom or dad from another room. Because, enough already. But, that being said, this rule probably needs to start with me. Our solution has been the Nucleus home intercom system, and I’m happy to report, waaaaay less yelling. 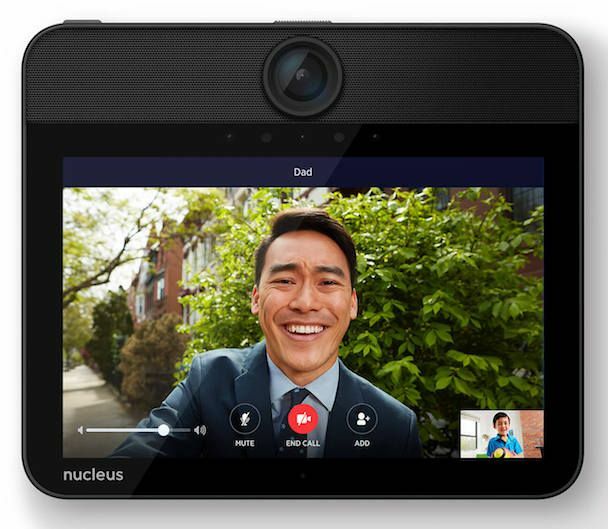 The Nucleus devices can be placed throughout your home, then set up to connect via video or audio chat. So, along with calling them to dinner, I can use this to quickly check in on my kids while they’re having a sleepover in their room, or even to keep an eye on a baby who’s napping. And yes, there are safety features with the ability to lock cameras when needed. The only thing missing is a “page all” feature, which would be really helpful if I had kids in different parts of the house and I was wanting to call them all at the same time. The Nucleus range goes way beyond your home though, making this more useful than a basic home intercom. 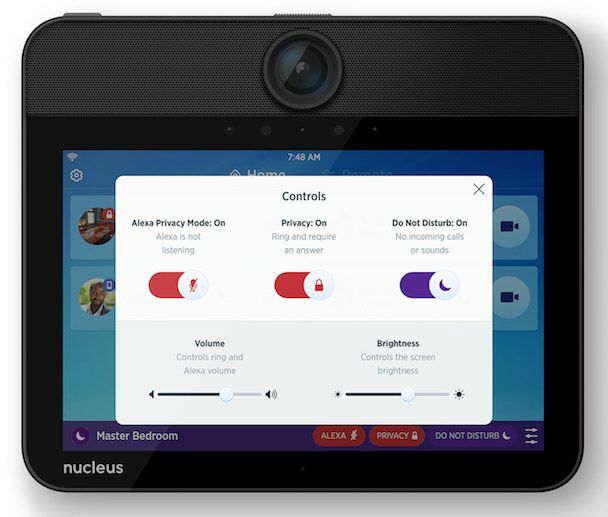 Through the Nucleus app (iOS and Android), any invited cell phone can actually be connected to the intercom in your home. 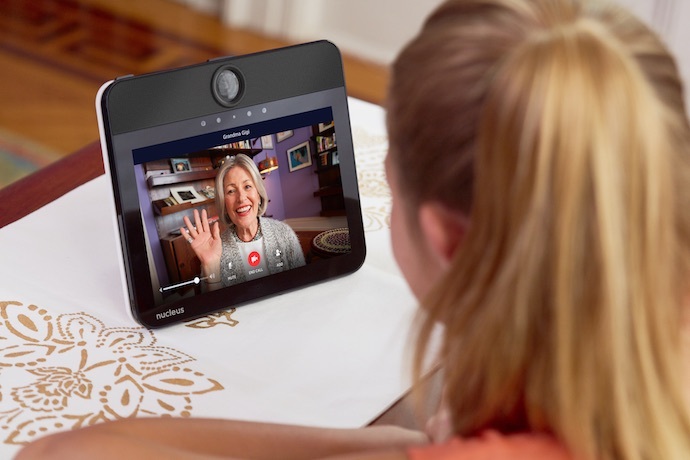 Such a great option if you’re not ready for your kids to have their own devices yet but still want them to be able to reach you (or their grandparents, neighbor, or other trusted adult) when you’re not home. And I love that it integrates with Amazon Echo. You can speak to Alexa through the Nucleus just as you would to the Echo. It’s definitely an investment, with a single Nucleus starting at $249. But for families in our situation, as well as those of you with older kids starting to stay home alone, this is certainly worth a look. You can order your own Nucleus home system in black or white at their website or our affiliate Amazon. You can buy them individually or in bundled sets. hello I have Alexa, and she should be able to call 911 if you have an accident, and cannot get up, and all you half to do is call Alexa. This feature should be on her. Especialy iif you are in bad health, and small children. this feature should def. be on her. Can this feature be put on her? It is very important . Rosemary, that would be an awesome feature. Current regulations require a device to be able to receive incoming calls in order to call 911, which is why Alexa can’t call 911 for you. A workaround, however, would be to connect a family member or friend to your Echo as a “Buddy.” Then, you can say, “Alexa, ask my Buddy to call 911 for me,” and they’ll receive a notification. It’s not as fast as calling 911 directly, but if you’re unable to move it’s a good option!